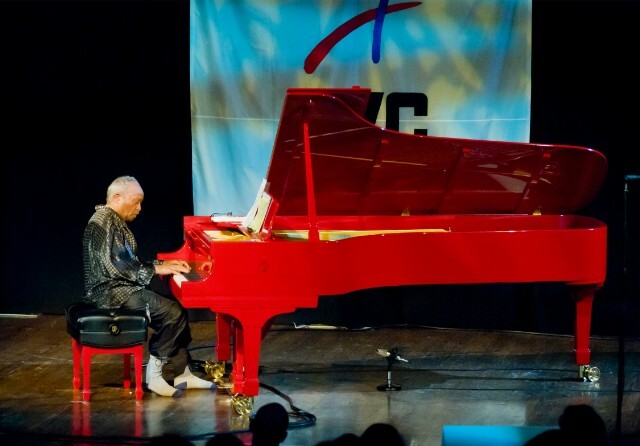 Cecil Taylor, a towering figure of free jazz and the avant-garde, died yesterday at the age of 89 in his Fort Greene, Brooklyn home, NPR confirmed this morning. A cause of death is not immediately known. Taylor, born in Corona, Queens in 1929, imagined a new language for the piano, recasting the instrument as a physical, percussive force. He began playing at the age of six, putting down roots in classic swing combos, before leading his own bebop-indebted band in the late ’50s. His 1959 debut record as bandleader, Jazz Advance, collected a handful of standards, but the compositions already strained at the edges, with Taylor’s piano the main antagonist to the strictures of jazz. The ever-developing approach led to his credit as one of the pioneers of free jazz style. The 1962 album Nefertiti, the Beautiful One Has Come, a live recording, is considered a landmark of the genre. It also ranked Taylor among the likes of Sun Ra, taking influence from ancient Egyptian culture. A rare dormant period followed, until the 1966 release of Unit Structures, perhaps the definitive Taylor recording. By then, he had forged his longtime partnership with the alto saxophonist Jimmy Lyons, who would become the only consistent member of his band The Unit until Lyon’s death in 1986. Taylor was a generous collaborator and voracious recording artist. Over his long career, he performed with The Art Ensemble of Chicago, Anthony Braxton, Albert Ayler, and John Coltrane, the latter on a 1958 recording. Sunny Murray, the explosive free jazz drummer who passed away late last year, was a frequent presence in Taylor’s ranks. Taylor studied classical techniques at the New York College of Music and the New England Conservancy. He found further institutional support in the form of Guggenheim and MacArthur grants, a 2016 Whitney Museum retrospective, and the Kyoto Prize, the $500,000 prize money of which was famously swindled. He was also a prolific poet and active dancer, in the fields of ballet and modern.